Robert “Toshi” Chan is a real estate mogul, party promoter, actor and majority owner of New York City’s newest premier hotel, Flatiron Hotel. Toshi Parties” became iconic to NYC. But when the Puck Building eventually rented out all of its event space, “Toshi” decided to invest in real estate with his party profits. It was the best of times in the economy when real estate values soared and construction loans were relatively easy to obtain. He purchased his first building in 2000, developed it and bought his second building in 2005 with all permanent financing into place, just months before the economy began to turn. Having made his mark in real estate development, larger developers began to hear of Toshi’s upstart designs, which received universal acclaim for their simple and relaxed ingenuity. 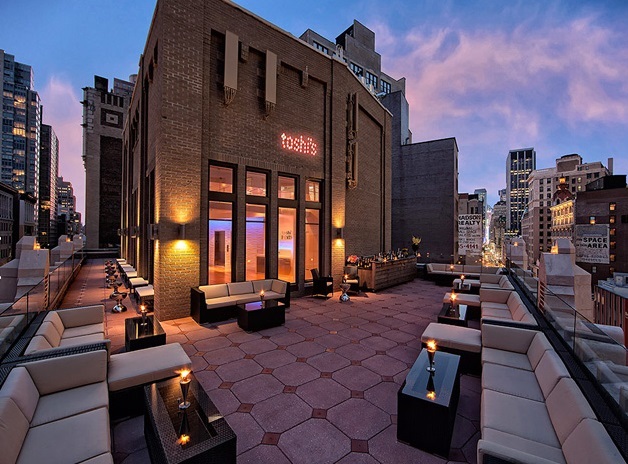 From that solid foundation, Toshi expanded into hospitality, opening the Flatiron Hotel in 2011. Eventually he added “Toshi's Living Room & Penthouse,” NYC’s preeminent live music venue bar and restaurant. I kinda fell into it back in 2007. i started by renting out my guest room and it mushroomed into hotel toshi then smart apartments with several hundred units in new york. the fuel was that in 2008 when the lehman crisis hit, i was able to very quickly expand because all the landlords in nyc welcomed having my above market rents when the rental market hit a cyclic low. 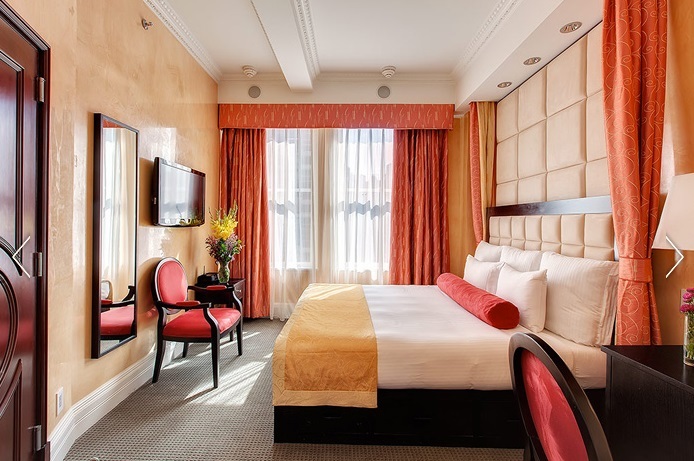 Tell us about Flatiron Hotel. What inspired the idea and what is your vision for the hotel? I wish i could take credit for having the vision to foresee what the flatiron hotel could become. in truth, i had zero hotel experience and zero restaurant experience. i was under fire by the Bloomberg Administration to case the vacation rental business so i decide to transition into the legal hotel business. at the time, no one wanted the flatiron hotel and it was empty. the neighborhood was actually depressed. this was a few years before the Nomad Hotel opened and before our block West 26th street became restaurant row. once i did take posession of the hotel, which was previously a low rent office building and collection of wholesale shops, i decided to open toshi's in what was just a big empty lobby. my vision for flatiron hotel is to provide my toshi brand of hospitality and nightlife, basically when you come to my hotel or restaurant, it's like coming to my home. so we're kinda totally different that any hotel out there, definitely different from any flag chain hotel. it's so fun for me! every day i come to hotel and i love welcoming guests in both my hotel and toshi's living room and penthouse. What strategic partnerships/marketing strategies have you implemented that have attributed to Flatiron Hotel's success? Still working on being successful. i've forged no partnerships except with all the members of my team and toshi/flatiron family. i believe in promoting from within and hiring people that are great people first, friendly and cheerly, even if they have zero experience because certainly i had none. i can mentor someone to learn the hotel and restaurant business but you can't teach someone to be a great cheerful positive person. that's instilled by coming from a good family and great parents. and i'm not talking families with money. families from all economic backgrounds can be great families and great parents. it's their kids i absolutely love bringin into the toshi and flatiron team. I've noticed that hospitality has continued to emphasize standardization and consolitation. i love the fact that we're small and embrace that we don't know everything. it makes us try harder. i'd rather that we not be experts in everything but rather be the best in going out of our way to find how to serve a guest even if initially what they request we've never done. like coming to my home, i know very little but if it's something that you as my guest needs, i'm going to learn how to get it for you. Sounds corny but i want to change the world. i may not have sufficient intellect nor skill, but i am going to apply everything that god gave me to have a positive effect on humanity. i know. i sound like an fool but that's what i most want to accomplish. Your greatest success as Proprietor of Flatiron Hotel? Most difficult moment-how did you overcome and what did you learn? Again, still working on being successful when i grow up but i feel my great success is when i make a guest smile, especially after a hard day or a long journey getting to us. that is more success to me than anything. my most difficult moment. well, funny you should ask. the last three years from operator to owner has been the hardest of my entire life. it nearly killed me. my baptism into the manhattan real estate market brought some of the richest, smartest and most ruthless real estate moguls with far superior intellect and even more superior wealth smack right into my life to try to take the hotel away from me. from their point of view, i was a nobody, not very bright, not a serious real estate player. they had smarts, wealth and power. i had dumb luck. go figure. Well, this may seem trite. but love what you do. if you love it, that is your best chance to have your guests love it. that's your best chance to succeed. Describe the ideal experience at Flatiron Hotel. The ideal experience is at check in when you come in and are welcomed into our guest sofas. no line. no check-in desk. just a complimentary welcome drink and snack while our bellhop whisks your luggage to your room and our hospitality welcomes you with our quick mobile check in, all while you're comfortably seated in our lush tufted sofas. How important are architecture/design to the success of Flatiron Hotel? I actually took over the never opened hotel with most of the architecture and design as is and put in my own personal touches. the best thing is our fish tank and open windows where everyone can see in and out. i wish i could take credit for that brilliance but i'd be lying if i did. so i guess more dumb luck. this building landed in my lap and i ran with it. I work side by side with them. no task that i ask them do would i not do too. also, they're not my employees. i'm nothing without them. really nothing. they're my team, my family, my brother, my sister. i need them. there's no way i can make all of my guests happy unless my team is happy. in short, motiviating my team is making sure they're happy and that i'm helping them pursue their life's dreams just as they're helping me pursue mine. Omg. toughie. Shake Shack burger and a coke. I'm sooo blue collar. I'm so embarrased. Ilove reading the NY Post. I am such a plebian. My mom. she worked for the post office. so honest. so loved by all of her friends. My live music. absolutely i'm sorry to brag. we kinda have the best in the world of unknown young humble world class performers. i'm so obnoxious i know. Golf course. hee hee. so republican and i'm so not. What's next for Flatiron Hotel? Our top to bottom renovation of the flatiron hotel and toshi's living room and penthouse. i'm soo excited. i just refinanced the hotel and the bank lent me money that i never had before. prior, i paid for everything out of my own pocket....basically buying the cheapest stuff i could afford. now i can have what i want. it'll put me at least on the same playing field as all other hotels on the block. well, not quite, but with toshi love and flatiron hospitality, it's everything i ever dreamed about.